Music for peace and relaxation. Welcome to the fascinating world of sound and music that has the power to comfort and calm the senses and the mind – music that is structured to help you relax in the comfort of your own home or anywhere you feel the need to reduce your stress level for a while. In times long ago, the healing power of sound and music was prized as powerful and mysterious tool to help balance mind, body and spirit. The ancients understood as we do today, that music is truly a as we do today, that music is truly a universal language, needing no words to convey emotion and meaning. 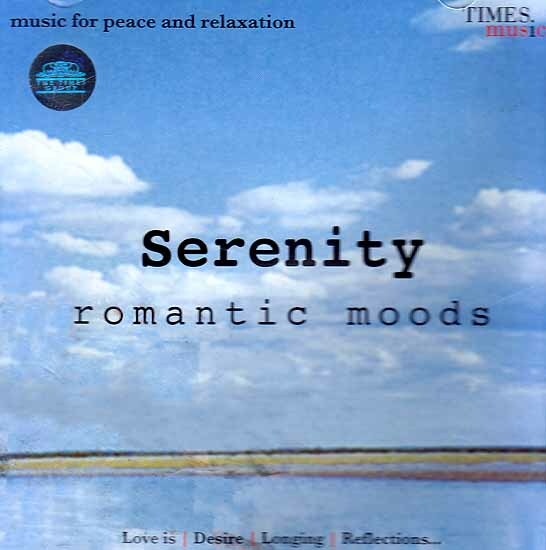 ‘Serenity – romantic moods’ is yet another step forward in the direction of ‘thematic’ music. Romance and romanticism, moods and emotions that predate human language are here translated through music that weaves together instruments of the east and the west. The bamboo flute, the sitar, the saxophone the mandolin, the banjo, the tabla, the dholak, the Spanish guitar, the bass guitar, the electronic percussion and keyboards, all intertwine to make music for the one who has loved and lived! In his own inimitable style, Ashit Desai has specially composed and arranged music for this album that reflects his deep understanding of folk melodies and Indian classical ragas. Me encanta este disco, es una música hermosa, te conecta con el amor!